I am excited to be starting a new weekly series called Tot Books on Thursdays. 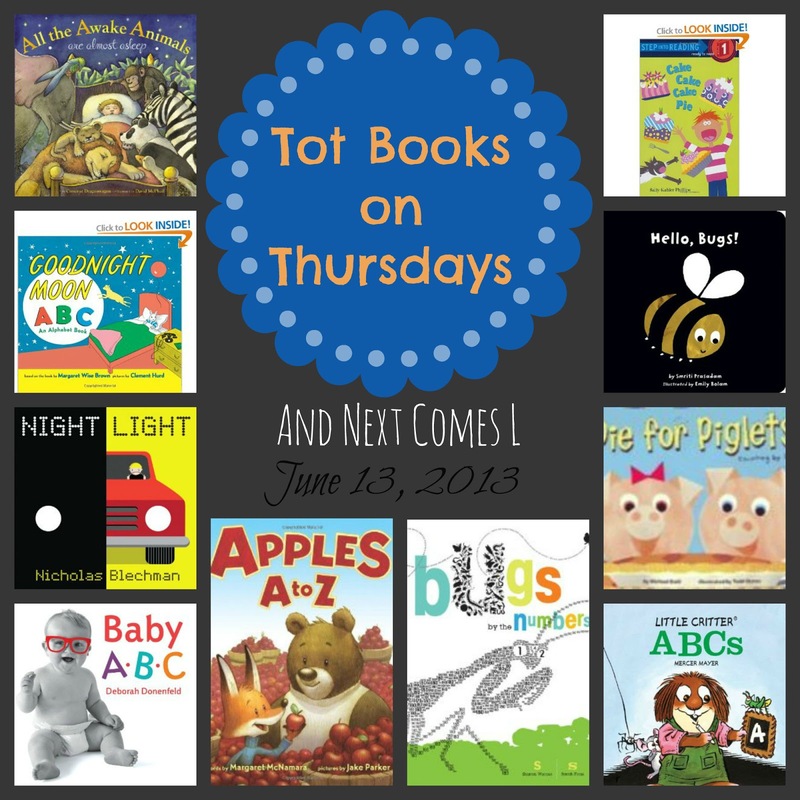 Each week I will be showcasing ten books that we've been reading. They will be the ones that have been read multiple times during the week. But that's not all! I will also be showcasing a minimum of ten books that my lovely Facebook fans have been reading during the week. That's 20+ children's books to check out every single week! So join me every Wednesday on And Next Comes L's Facebook page to share your books and then again on Thursdays on the blog to see what books have been showcased. This book has been checked out nearly every single time we go to the library (we should own it by now since it's at our house so much). J is obsessed with this book (not surprising, given his number obsession and all). 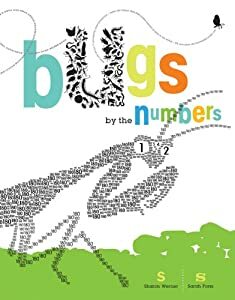 Each bug is made up entirely of numbers, which is really cool, but the numbers used are based on some fact about that particular bug. There are also lots of flaps to lift and explore. 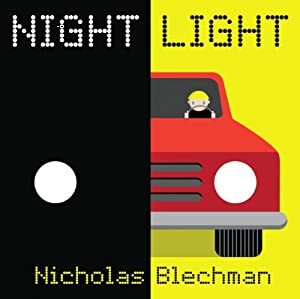 The things I have learned about bugs by reading this particular book has amazed me and let's just say that I hope to never see a Chan's megastick in real life. Bugs that big should not exist. Seriously. We read a lot of ABC books. And I mean a lot. 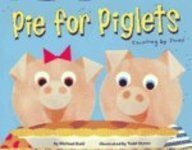 So an ABC book about apples? Why not! K has been requesting this book every night this week and only this book before bedtime. So that means I read this book about 5-6 times in a row before he falls asleep. 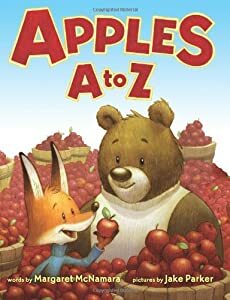 It talks about all sorts of things as they relate to apples, such as cider, juice, harvest, and deciduous trees, as it moves through the alphabet. Everything you've ever wanted to know about apples is probably in here. And the illustrations are adorable. 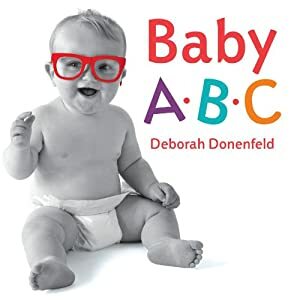 Another ABC book. The boys like it purely because it's an ABC book. 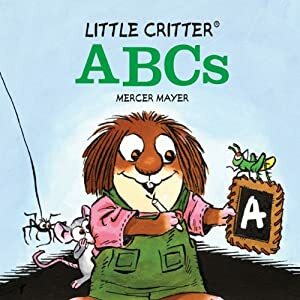 I remember liking Little Critter books when I was little too. I have expressed my love for this book before. The illustrations are absolutely gorgeous. Both J and K love this book, but K, in particular, has been wanting to read it constantly this week. I am always on the lookout for new number books and this one was the latest find at the library. This book would also be a good fit for those obsessed with cars, fire trucks, and other vehicles. J has been enjoying it a lot lately. This book was the first full length book that J read entirely by himself at the tender age of three. Yes, age three! So this book will always be special to me. 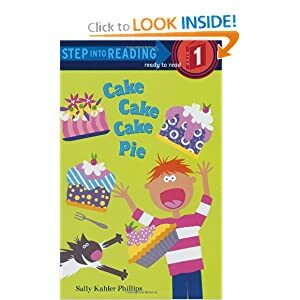 This book has simple words and a funny plot. The sentences are more like word fragments than sentences per se and the illustrations are also pretty cute. Surprise, surprise...another ABC book. Well, K loves this book and who wouldn't?! It's filled with adorable babies, photographed in black and white, with the prop in a bright, bold color. And J always gets a kick out of the baby "eating" the yarn for letter Y. 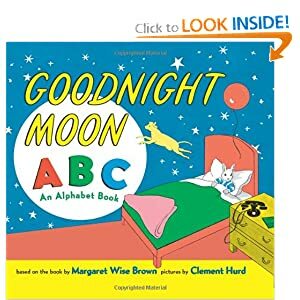 This ABC book is based on the classic children's book Goodnight Moon. I am not a huge fan of the original book nor am I a fan of this ABC book, but the boys love it and that's all that matters. It just uses images from the original book, highlighting different objects for each letter of the alphabet. If you like the original, you'll probably enjoy this book. J LOVES this book! The story is absurd, but it reinforces counting by twos. J's favorite part would be the hidden numbers throughout the book. He loves to search for the hidden numbers. 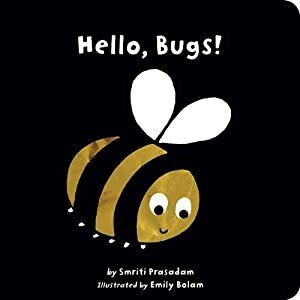 This little board book is so cute. The illustrations are adorable and I love the contrast between the black background and the shimmery inserts. K loves to look at this book! Oh Dyan I absolutely love this series idea!! I too have been considering doing some kind of book feature every week, but this is awesome!! I can't wait to see what you are reading each week and find some new books in the process! 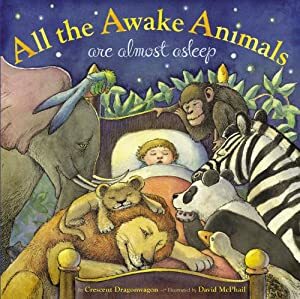 All the Awake Animals Are Almost Asleep, Baby ABC, and Night Light look especially exciting. I may have to check them out for Kingston! Thanks, Blayne! I am hoping I can help others find new books too since the world of children's books can be so overwhelming sometimes!